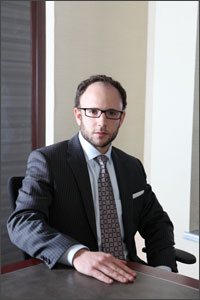 2015 successfully defended cases where Morrie Luft successfully represented his clients. Each case is different and past results do not guarantee future outcomes. R. v. N.M – Mr. M. was charged with utter a threat and assault. Result: all charges withdrawn. R. v. A.M. – M. was charged with failing to attend court. Result: charge withdrawn. R. v. R.P. – P was charged with possession of cocaine for the purpose of trafficking, possession of heroine for the purpose of trafficking and with possession of proceeds of crime. Result: all charges withdrawn. R. v. F.B. – B was charged with assault and with uttering a threat to cause bodily harm. Result: all charges withdrawn. R. v. K.C. – C was charged with theft over $5000. Result: charge withdrawn. R. v. E.C. – C was charged with possession of cocaine for the purpose of trafficking, possession of proceeds of crime and failing to comply with his recognizance. Result: all charges withdrawn. R. v. I.C. – C was charged with assault causing bodily harm. Result: charge withdrawn. R. v. C.P. – P was charged with criminal harassment. Result: charge withdrawn. R. v. A.C. – Mr. C. was charged with having breached two conditions of his recognizance. Result: all charges withdrawn. R. v. F.S. – S was charged with failing to attend court. Result: charge withdrawn. Mr. Luft is available for an initial consultation. You can contact him at 416-433-2402 to scheduled an appointment. When you are charged with a criminal offence, you need a lawyer with the experience and knowledge to fight your criminal charges. Morrie Luft defends against all criminal and quasi-criminal offences. He defends people charged under the Criminal Code of Canada, the Controlled Drugs and Substances Act or the Youth Criminal Justice Act.